I often receive emails regarding Hakuhodo brushes and questions like “What first affordable Hakuhodo brushes can I purchase if I am just starting?” or “What would be the perfect and cheapest Hakuhodo eyeshadow starter kit?“, this little post is for you if you have the same type of questions. There is a lot to choose from and I understand those who tell me they end by getting a headache, specially if you are just starting I know it can really be overwhelming ! I found a nice and clear picture that describes the eye area, if you need more information on where is the crease, the socket, etc and what kind of shadow to apply, please click here and have a look. The great thing about the Hakuhodo J Series is that you can use powder, liquid or cream products with them, this makes them versatile and that’s what you need to be getting first, versatile brushes that can do many things with whatever products. K007 (eyeliner) 15$ : many eyeliners have already the applicator inside the pen or pot but if they don’t you may want to use a nice eyeliner brush, I find this one very easy to use, it allows a lot of control and precision but you may prefer a thicker one, it just depends on your own preferences. I use this one with Mac or Bobbi Brown gel liners or any other pot eyeliner and even if my liquid pen eyeliners come with an applicator I tend to transfer the color to this brush and then apply it from the brush, it’s just faster for me. It can also be used for concealing small spots. J220G (base/blending) 23$ : this brush will apply base color all over the lid area, it may just be a bit big if you have smaller eyes but I still think it’s the best option for base color. J5523 (crease/blending) 18$ : this is a great versatile brush, for base, crease, or blending. I think you should even get two of these and the reason is that you might need a clean one for the final blending. If you have already the Mac 217 this one is not a necessity, I do prefer the Hakuhodo since it’s softer but if you have already the Mac one and are on a budget maybe you can wait. J242G (lid) 17$: if you have the Mac 239 already you don’t need this, it serves the same purpose. I think you actually need two small lid eyeshadow brushes since you might be using two or three colors for the same look, or maybe just one brush and then you go from the sheerer color to the darkest. Having at least two can be very handy specially if you want to use one with cream products (paintpots or creamy shadows for example) and the other one with powder products. I even prefer the Mac 239 so if you have it, I don’t think you absolutely need this Hakuhodo one. G5513 (inner corner/smudge/precision) 16$ : can be useful for so many things. I use it for highlighting near the tearduct or the inner corner, I also transfer my pencil liner onto this brush and apply and smudge it from the brush directly, so much easy to measure the quantity and thickness of the application. I also use it for the brows (I don’t need much precision, it’s just to roughly fill them in where I need). J122R (cream shadows/concealer) 28$ : another multipurpose brush, either for concealer or cream shadows, this brush comes in two sizes, the smaller one is the J125R. G5528 (outer V) 29$: it’s sad that Hakuhodo don’t have this brush in white goat hair, I really would love that ! This thicker pencil brush will help to apply and blend the outer V, it’s dense and pointy so you can pack powder shadow more precisely than with a fluffy crease brush. G5520 (pencil) 21$ : if you prefer a white goat version of it there is the G5514, it’s my go-to pencil brush, just the perfect size for me. I use it for smudging shadow or pencil or applying shadow on the lashline. J5529 (16$), J146 (17$), J142 (18$), J5522 (20$) – (crease/blending) : these are all crease brushes, they will help you either to apply the eyeshadow on the crease area or to blend. You have to choose one that fits your crease area best, for me I prefer the J5529 for a more precise application and the J142 or the J5523 for a larger application and blending but it really depends on your own preferences. I did not mention a specific brow brush because many products you can buy either come with their own brush or you may use a brow pencil, I spent many years using the cheapest eyebrow brush I could find and that was perfectly fine for me, if you want a Hakuhodo brush, you could get the B264 for example, it’s precise and does a fantastic job. I will give you a few options for two of the brushes above, the G5513 and the G5520, these brushes are made with horse hair, sometimes horse hair can be a bit stiffer than goat, if you have delicate skin like I do, you may prefer to spend a little bit more and get brushes that will be even more gentle with your delicate skin. When I first got these two G5513 and G5520 they weren’t what I call “soft” brushes at all, they got softer with washes but still, if I have the budget and if I can get the same result with softer brushes that is even better. The reason why I love them is not because they are stiffer than goat of course but because they are extremely efficient, I use them often to apply and blend waterproof eyepencils that are harder to blend, just to mention an example but also pigments are more easily handled with them. When you are starting, getting the softest brushes is not that vital, you may just be looking for the most affordable and efficient brushes, that said, I can show you a few others that are similar and probably more gentle with your skin. The Mac 228 is 20$, synthetic (no other info I could find) but feels like pony hair to me. It serves the same purpose as the G5513, it’s exactly the same size. I tend to reach more for the Hakuhodo than the Mac, but if you have the Mac already, there is no need to go Hakuhodo, you won’t get any additional benefit. The only thing I could say is that both feel about the same, if I “stab” my skin with both, the Mac hurts more but you wouldn’t stab your skin anyway, would you ? The Rouge Bunny Rouge is an amazing brush and a great option, of course more expensive (18£). What I can add from my experience is that when I want to precisely blend or apply pencil (that I previously applied on the tip of brush), with the Hakuhodo I get a more precise application, but it’s only important if you really care about a very thin line, if you want a more mini-multipurpose brush the RBR is fantastic, doesn’t hurt but if you stab your skin, it will hurt. If you use it as a shader, it will feel slightly softer than the Hakuhodo G5513. I only found one brush that is so soft that it will not hurt you whatever you do with it, it’s the Koyudo BP039, so maybe for those of you who are looking for the softest option possible, that would be the best option. Now for the Hakuhodo G5520, there is another Hakuhodo G5514 that is a bit softer and more precise than the G5520. If you want better but slightly bigger, the Koyudo C011 is the one if you want the softest pencil brush but still with enough density and firmness for the job, actually the quality of this brush is outstanding and it keeps its original shape and quality as when I first got it. 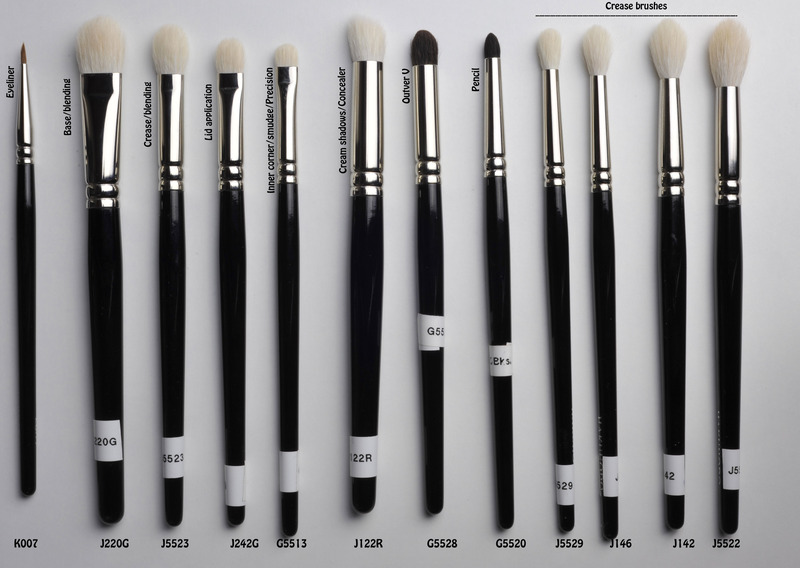 Eye brushes – Hakuhodo guidelines was last modified: September 24th, 2014 by Sonia G.
Thank you so very helpful! One quick question, which would you recommend for a great (the softest) crease/blending brush for a 46 yr old eye? The J5529 or is there another brand you would recommend for the “mature” eye? Thank you much! Happy New Year to you all the way from Oklahoma. The J5529 is very soft, you won’t have any problems in regards to that, they are all extremely soft, not as soft as squirrel but still very very soft. The ones that are less soft are the horse ones (the white G5513 for example and the black G5520) but it’s still ok for the usage I get of them, don’t hurt at all. If you want to go softer, then you have to switch to squirrel hair like the S142 or the G5522 or the G5523, then you will get softer than the white goat ones. I can recommend other brands but for specific crease brushes like the J5529 not much I am fraid, I do have the Nars 12 and 13, which are excellent but not softer than the Hakuhodo here. Sonia, this is a great post! Going onto the Hakuhodo site is pretty dizzying, and your list is so very helpful. 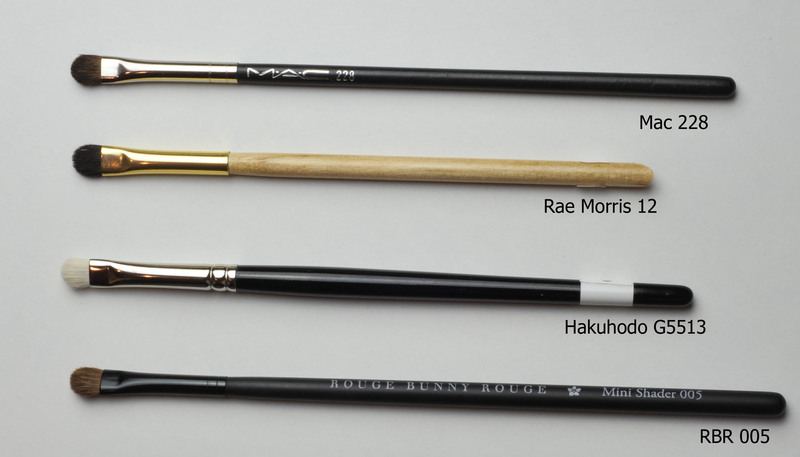 I see there are a few brushes I would like to try now and add to my small Haku collection. your feedback is always dearly appreciated ! oh myyyyyyyyy gosh.. I just placed my order on Friday (evening ..lateeeeeee) and its monday and my babies are in front of me.. LOOOOOOOOOOVE IT.. love the brushes!!!! Bless You!!!! Thank you! Thank you! Thank you sooooo Much!! I have been stalking your website trying to figure out where to start. I have small eyes. The first set of brushes I purchase was the J515, J5522 & J214R. I knew I needed more but did not know where to fill in. Imperative that I get soft brushes at an affordable price. Just getting back into makeup and there is a lot of new things to learn. Thank you again for this post!!! Any suggestions on affordable finishing brushes or kabuki? Are they even the same thing?? You are welcome 🙂 waw you do sound grateful 😀 that’s very sweet of you ! 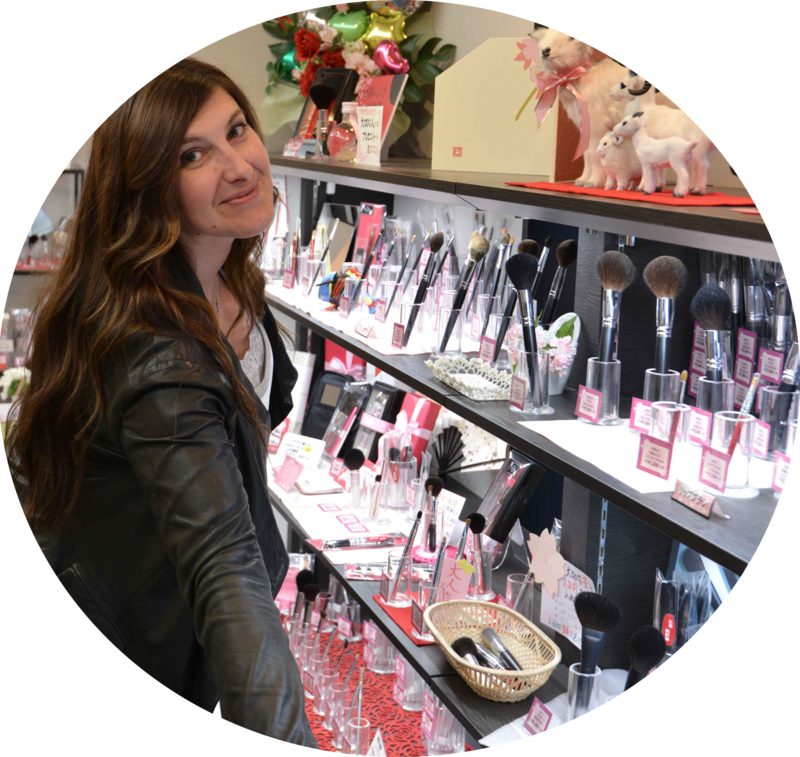 I love reading about brushes and share your passion for them, and I must say: This is one of the most comprensive, well-organized, helpful posts in the beauty-blog sphere. Thank you! Did you read my mind?… Haha this is so funny I was stalking your brush posts last night looking to do my first order and here is this awesome post. Thank you! The hakuhodo website is endless, and has so many variations that it is very very easy to get lost. I wanted to ask you when comparing identical brushes in the Jseries to the G or Basic series counter parts do you find them to be of similar quality or varying ex j532 to b532. Look forward to hearing from you :)! If you want to compare the quality of the finishing of the brushes, well, I don’t see much difference, same handles, sometimes on the crimps of the ferrules some J Series look a bit more rough but you can’t really tell, doesn’t bother me and in some of the G or B series you can also notice some “roughness” on the crimps anyway so that’s really not bothering in my opinion. Not sure I understood the question but I’ll try to answer 😛 if you were not talking about the handles, the J532 and B532 are two different materials, we cannot compare the J Series to any other Hakuhodo Series, it’s often not the same material, you would be comparing goat hair with squirrel hair in some cases and that’s two completely different products with different qualities. Some goat brushes would tend to spread out where the same one in another material would be more tightly packed if it’s squirrel, that is for example the case of the J5523 vs the G5523. The J5523 is fluffier than the G5523. Both brushes are outstanding but they are totally different materials, the quality of both is excellent. Then you can compare the same exact head from two different series, like the S 127 with the B127 (both same shape and both canadian squirrel), it’s just exactly the same “head” same shape, same hair quality, the handle differs but the head is exactly the same quality. Very informative and well written post! Brava Sonia! No one does it better than you. Hi Mandy 🙂 thank you !!! Great post, Sonia, as always. I have most of these but I should probably consider the S142 for my next purchase. I don’t care if you are a beginner or a crazy brush lover 😉 this post is extremely helpful! Sonia, I just realized I got almost all these brushes with your help last month! Except I missed out on the G5513 & K007. Is there a decent MAC alternative to these? I want to thank you for your help with brushes! before hakuhodo i really had no idea what soft brushes really were. Now i cant use my old brushes anymore, tooooooo painful. Your blog is an incredible resource. Thank you so much for taking the time to share your passion and knowledge. Though I’ve worn makeup for years, I’ve kept it pretty simple. Washes of color on my lid, winged liner, lipstick, and a little blush. I’ve tried experimenting with my eye makeup the last few years but my brushes are low quality so I feel I’ve been hindered by them. In the last week, I’ve been motivated to invest in a few quality brushes but I am feeling overwhelmed. I have looked at pictures of these brushes and tried to get a sense of size and thickness. Can you offer me your opinion? For my second order(6+ months from now), I’d like to add a powder/blush brush and a lip brush for sure. I appreciate any feedback you can give me! Thank you again!! I will actually be addressing your question very shortly in a post and I hope it will help you, please just bare with me a couple of days, it will be posted during the weekend. Two of the brushes you mention will be featured in my must-have brushes category (S122 and J5523), I don’t own the K005 unfortunately but I own similar tiny brushes and I think they are absolutely must-haves. You take the right decision, it’s better to buy just a few but of good quality! 🙂 wishing you a great weekend ! Thank you so much for replying so quickly. And for the heads up on your upcoming post. I cannot wait to read it. I have just realized that I have mistaken the K005 with another brush ! Since I hadn’t labelled mine yet I did not think it was the K005 that I had !!! so sorry about that ! It’s only when I put a label on the brush that I noticed it was that one ! the K005 is a HG brush for me in fact, I totally recommend it for the application of gel liner, so much control and so easy to use, loving it to pieces ! I use it with Mac blacktrack and I wing it out very slightly, the application is even and in a record time. Thank you again for taking the time to answer my questions and your wonderful blog. Thanks again for your lovely comment ! Christina, I own the K005 and find it a little too thick for tightlining but it can work. I don’t use it often, sometimes for smudging shadow on the lower/upper lashline. Thank you for the feedback. Is there another brush you’d suggest for doing a winged liner and tightlining? I’ve always used an small angled liner brush but am willing to try something different. I also have the K005 and Kokutan SL which are the same brush with different handles. Its the only brush I can use for tight lining because the hairs are soft and not prickly at all. I first got the Kokutan then bought the K005 as backup since it is so much cheaper but essentially the same brush. Its a matter of preference. I also use it to apply liner to the bottom lashes. I don’t use it for winged liner, I’m more comfortable with an angled brush. I’ll try it this weekend and let you know what I think about it. I use an angled one too, I have a square one from Truish Mcevoy but don’t like it at all. Thank you, Carlyn! I appreciate your feedback a ton. I can’t wait to hear how it worked for you. I’m wondering if there is an angled eyeliner brush I should consider instead of K007. Hi, Christina, I’ve missed your message. In fact, by tightlining I’ve understood the lining under the upper lashes to make them look thicker. For that pruprose I found the 005 a little bit too thick so I use the small brush from the shiseido khol cream but mac’s synthetic ones are good too. For the normal tightlining K005 should be ok but I make a very defined winged line so I use K007, tentsuke brush, G552, G521 (these two can be used for a very thin tightlining, but as they are small it can take more time than K005). Sorry for taking so long to get back to you. I used the K005 to do a winged liner and I really liked the results. It was super quick and easy and the edges were not sharp which is more flattering on my eyes. I also have the K007 and it is good for very detailed work since it is a very thin and short bristled and will give very sharp edges. It does take more time for those reasons to do a lined eye and I find it too thin for tightlining. So the K005 is great for both unless you like your winged liner to be very sharp. I can’t think of another brush that can do both as I am only comfortable using the K005 when I tightline. 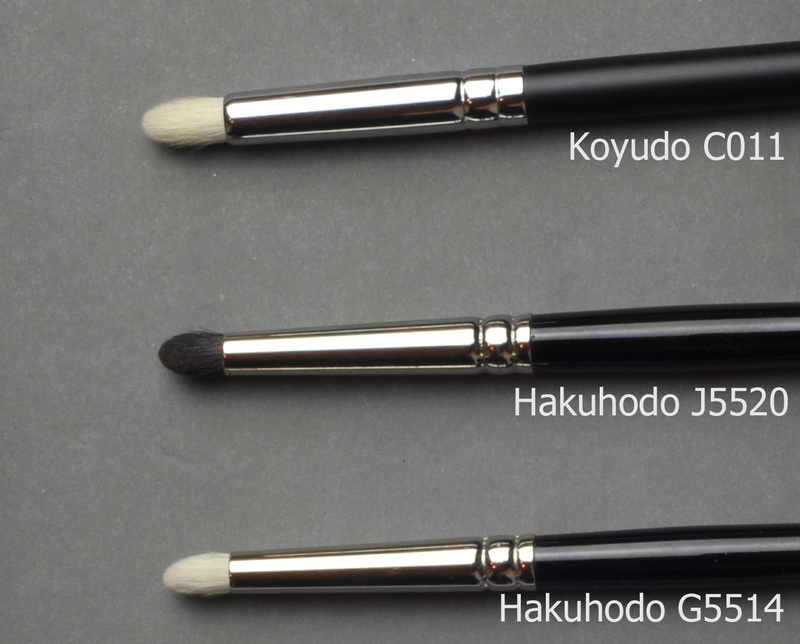 Hi, thanks for a great post regarding Hokohudo brushes! I’m an eye makeup beginner, I wonder which brush is comparable to MAC 226? I have small Asian eyes and I find the Mac 217 big for putting eyeshadow on the crease so I just use it for blending. Can you recommend a smaller brush for putting color to the crease as well as blending? Thanks! It’s expensive but believe me it’s worth it, both for application and blending ! Hi! love your post. It is very imformative and helpful for me. Hi Natasha, do you have a prefered material or shape (pencil, flat) ? Is your liner liquid or powder ? Hey Michelle! I’m sure Sonia will share her fancy labeling system with you but first I’ll share mine ;). I cut the numbers out of the label and tape it on the handle..
you can see a picture here, it’s a very simple labelling machine, I bought in a discount electronic shop. Hi! I’m back! I’m about to make my second Hakuhodo order and I’ve been reading and re-reading your posts. But I need some advice, please. On my first order, I recieved J5523, K007, S125, and Kokutan WM. I find myself using S125 and J5523 daily. WM is beautiful but I don’t reach for it that often because I don’t care for the stiff weasel hair. On this next order, I’m considering a blush brush J210, eye brushes G5523, K005, G5512, J5529, and S121G. What are your thoughts? Should I consider some others instead? Should I get a pointy blush brush instead of the rounded one? Each time I read your posts, I add and delete brushes. weasel hair can be used with cream products or to transfer stiff pencil color onto the lash line, in the future you may find it useful. When I started I didn’t care much about weasel hair or kolinsky but with time I learned the potential it could have. it’s mostly a matter of preference for a blush brush, my preference goes with small rounded flatish brush because of the technique I use (buffing blush in round motions for me helps me with my pore appearance). Please wait a bit and I hope the upcoming post will put you in the right direction. Thank you, Sonia. I follow you blog religiously so of course I’ll see you future post. Thank you again for taking the time to put the posts together and for responding to my crazy questions. Fabulous. An up-coming post on kolinsky brushes! I’m in love with my 2 kolinsky brushes and am looking forward to reading about future temptations. Hey Sonia! I just placed my first Hokuhaido brush order! This post made it so incredibly helpful for me, so thank you! I picked up the J5523, and the 29. I can’t wait! I’m a bit fed up with the quality of everything else out there 🙂 I’m going to now search your blog for proper care and cleansing. I will post some info about the cleansing in my future article, I just got some more details about this topic from Yutaro (Chikuhodo’s son) and it could be helpful. If you don’t mind me asking, is it necessary to get all 9 brushes for starters? If not, which are the must-have/ necessary for beginners. no of course not, you can get the J242G, J5523, G5520, then if you want another, the G5528 depending if you want to work a more precise outer v. It depends what you usually wear but these would be the very basic. PS: just out of curiousity, the G5520 (horse/blue squirrel), compared to G5514 (white/horse)…what is the difference? I mean, the white version is cheaper, cos it's made of horse hair? I just want to know if the white version is scratchy and the horse/squirrel variation not. tnx. 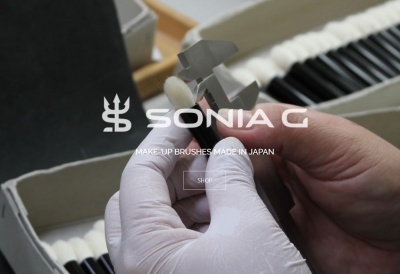 Hi Sonia, Do you know what type of hair the BP039 is? It looks like Grey Squirrel but CDJapan said Kolinsky…not sure that I have seen dark Kolinsky before! hi Myra, oh it’s not kolinsky, it’s tamage hair : http://www.hakuhodousa.com/?itemid=10&catid=3 good for both liquid and powder products. I own the BP039 and I confirm the quality of the brush is superbe, there aren’t many and it’s not imported into the USA to not encourage a mass manufacture abroad that wouldn’t be controlled (as far as I understood). ps:the animals are not killed for their hair. Oh my goodness, this is the most helpful brush guide. Thank you so much for all the information and recommendations! The choices are rather overwhelming for a Hakuhodo newbie like myself, and this guide is such a huge help. Thank you! !